Capturing sediment on the go . . . Enabling clean water to flow!!! Capturing sediment on the go, enabling clean water to flow. Some of the Earth's greatest landscapes are threatened by increased road construction, oil and gas exploration, and mining. This threat gets increased when improper or outdated erosion and sediment control systems are put into place..
Water is one of our greatest elements. Where are we without it? Its supply is decreasing. Flo-Water has a line of products that are increasing the amount of sediment captured, increasing the flow rates of stormwater's movement, and enabling its entry into our water systems with a substantially reduced load. It is time, and the Solutions are here. Is this working? Sediment & trash go around, over, and in. EZ-Flo w/ Curb Protection: Easy to install, replace, and service. Reusable.Catches sediment & trash. 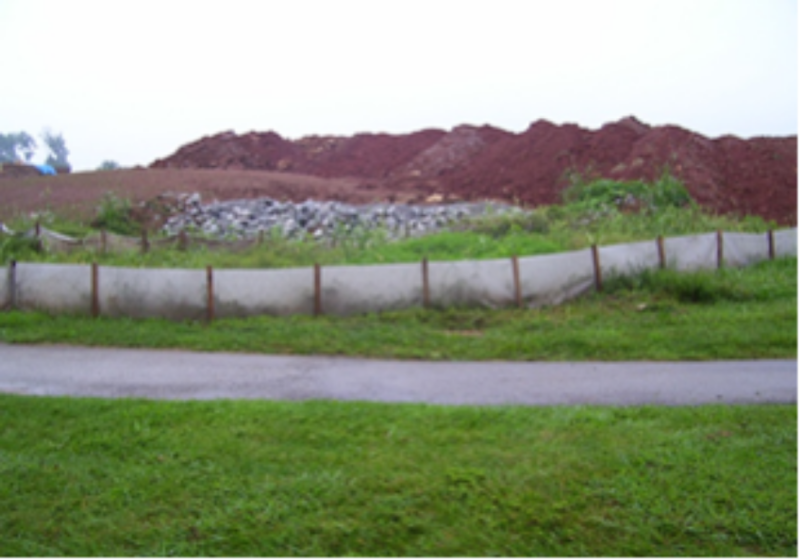 Problem: Increased rains, vehicular adjustments, kids moving.. Stormwater, sediment, trash, go over & around & in. Now that looks good, and staying in place. 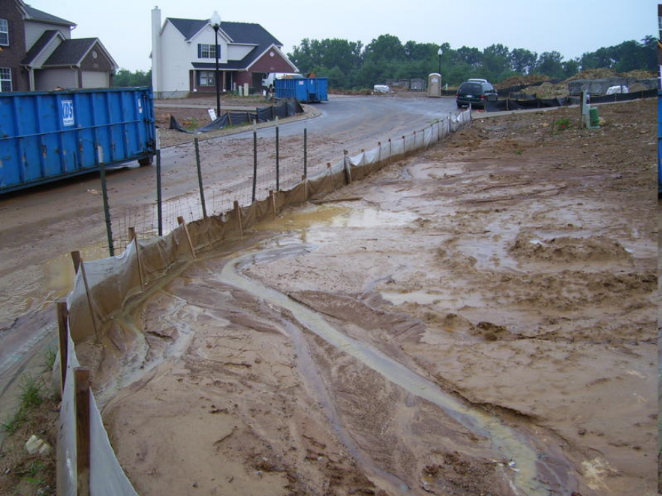 Hi-Flo & Maxx-Flo Silt Fence: Built in Scrim in Heat Set High Flow Nonwoven Geotextile. No Reinforcement Strips needed. 39.5" Wide x 500' Rolls w/ cardboard cores. Reinforced fabric enables stake or t-posts to spaced 6' to 8' apart. EZ-CatchCustom: For those Outside the Norm. Rocks couldn't even hold it in place. Metal S- Clips grab curb to keep in place. Strength of fabric reduces tearing, drooping, and collapsing substantially. High flow rates allow more water through. Filters sediment out reducing NTU's drastically. Reinforced to provide strength within fabric. 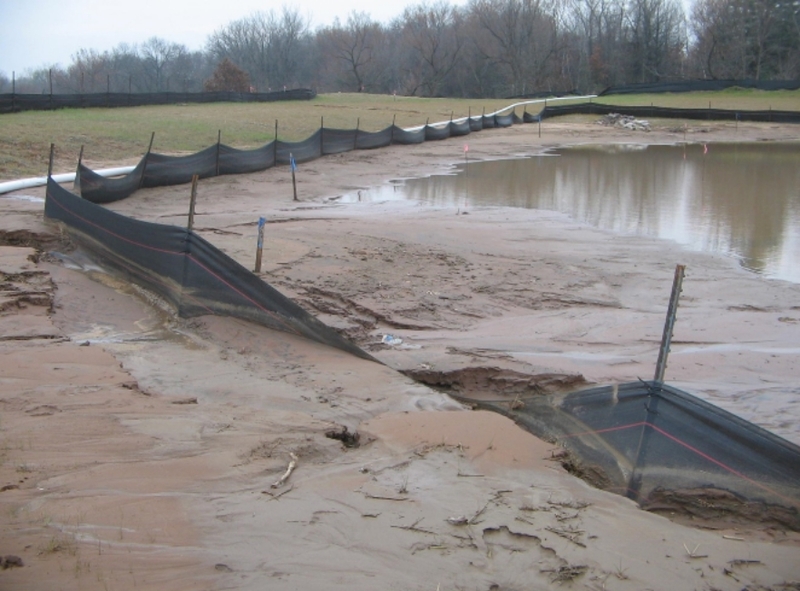 Lower flow rates, weaker fabric, improper spacing of stakes combine for a failed silt fence application. Conventional wisdom has installers using too many stakes or t-posts to avoid problems above. Capturing Sediment on the Go. . . . Enabling Clean Water to Flow. 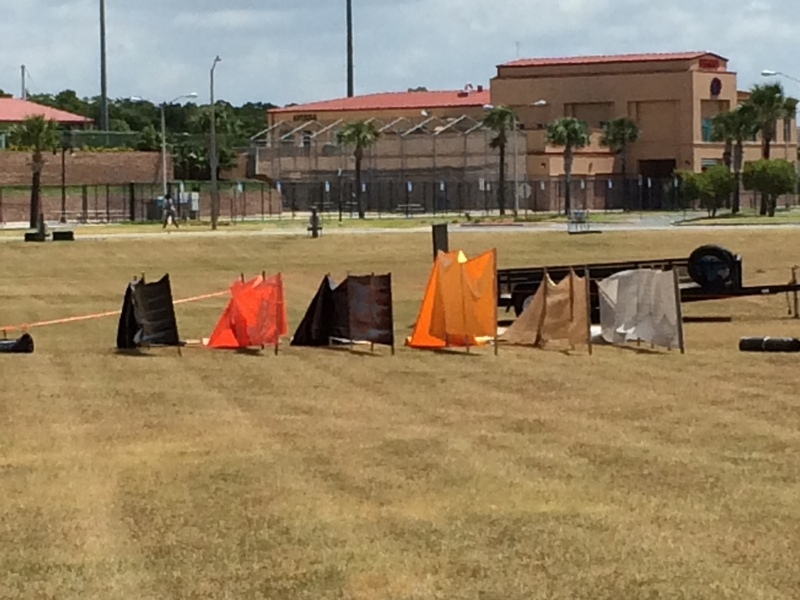 Wind from right to left, the HiFlo Silt Fence held it's form in the wind. It not only kept it's composure, but allowed air through to the other fences behind it. Enabling them to wave in the wind.